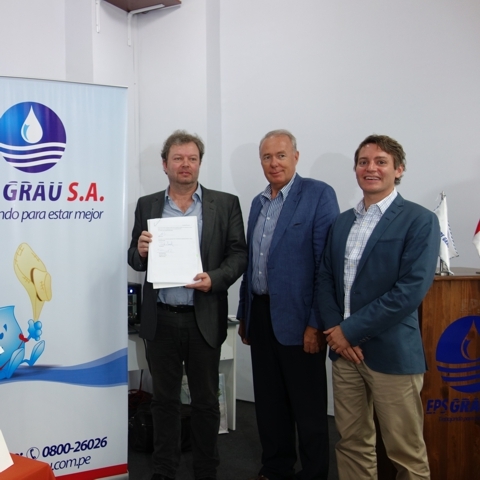 AKUT is consulting the water utility EPS Grau on strategic, technical and financial questions. Connection rates are 77 % for drinking water and 62 % for sewage treatment. The supply area of EPS Grau is characterized by arid conditions. Therefore a sustainable and efficient management of the water resources is necessary. The cities Paita (leading port for industrial fish production) and Talara (centre of Peruvian oil production) are parts of the supply area next to the city Piura. These are designated centres of growth in northern Peru within the upcoming years. The inadequate water supply and water pollution due to insufficient sewage treatment are a serious risk to the overall development of the region.